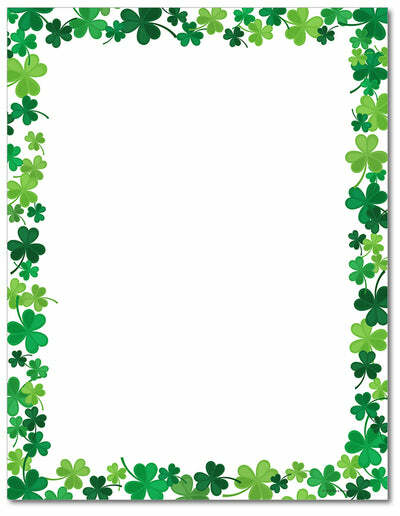 Jolly Shamrock is a classic lucky letterhead that features a white background with a variety of lucky shamrocks in different sizes around the border. Perfect for teachers or parents making flyers or invitations for St. Patrick's Day. This stationery measures 8 1/2" x 11" and is made on a 60lb Text paper that is inkjet & laser printer compatible, acid & lignen free.